Ramirez felt some discomfort in his shoulder on Saturday morning. PEORIA, Ariz. — If you had Erasmo Ramirez in your personal pool of the first Mariners’ pitcher injured in 2018 spring training, you can now claim your prize. Though for most Mariners’ fans, it probably offers minimal reason to celebrate. 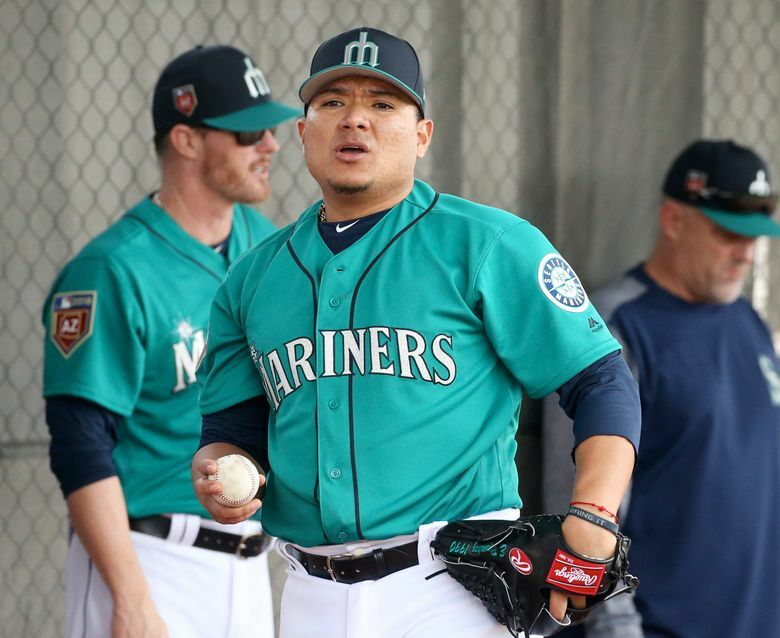 On Sunday, manager Scott Servais announced that Ramirez, who was locked into a spot in the back of Seattle’s opening day starting rotation, had suffered a minor lat strain and has been shut down from throwing for two weeks. Dr. Edward Khalfayan, the Mariners’ team orthopedist, was in Peoria and examined Ramirez, diagnosing him with the lat strain. Ramirez was noticeably absent from Mariners’ workouts on Saturday where he was scheduled to throw a bullpen session. Sources confirmed that he was receiving a MRI on his throwing shoulder instead. The Mariners reacquired Ramirez from the Rays on July 28 for reliever Steve Cishek. He made 11 starts after joining Seattle, posting a 1-3 record with a 3.92 ERA. He pitched six innings or more in seven of his 11 starts with the Mariners, while also limiting opponents to two runs or less in seven of them. While it is just days into spring training, a two-week setback in a starting pitcher’s throwing program is less than ideal. Ramirez has never had any lat issues. But the Mariners hope that by shutting him down early, they prevented something more serious. Still, most lat strains, many of which are labeled minor at the outset, seem to keep pitchers out a minimum of four week and sometimes six. The Mariners believe Ramirez won’t be out a long time, but past history with this type of injury isn’t a cause for optimism. If Ramirez isn’t ready to go for the regular season, the Mariners will look to in-house candidate — right-hander Andrew Moore and left-hander Ariel Miranda — to fill that open spot. Of course, Seattle general manager Jerry Dipoto could also sign one of the many available free agents on market that are still available.